Open the door of the brick building at the corner of Averill Avenue and Ashland Street in the South Wedge, and step into a “Masterpiece Theatre” village church. St. Andrew’s was designed by Richard M. Upjohn for a Rochester, New York Episcopal congregation. Completed in 1880, it is a virtually intact building with site-specific art and stained glass windows by artist George Haushalter. In 1968, a merger with Calvary Presbyterian Church created a joint parish, Calvary St. Andrews, that led, ultimately, to a single affiliation with the Presbyterian Church U.S.A. in 2001. Dwindling numbers forced the dissolution of the congregation, with the building and grounds continuing to be owned by the Presbytery. 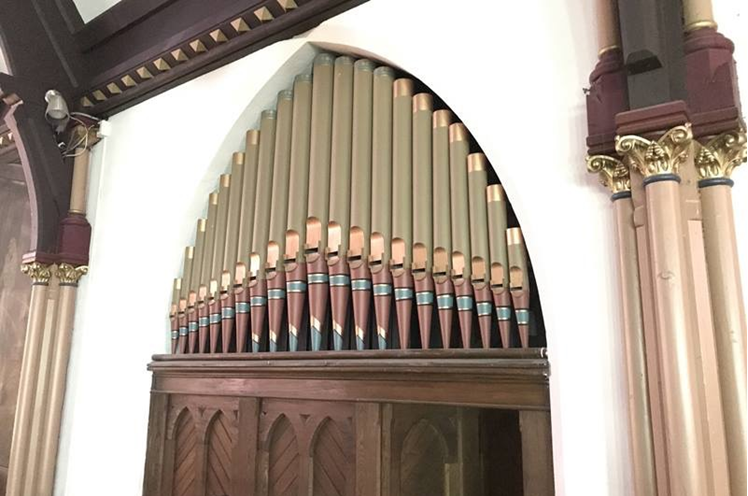 At this point a small group of friends and neighbors of the Church, recognizing its historic and aesthetic significance, encouraged the Presbytery to support an application for local landmark designation. 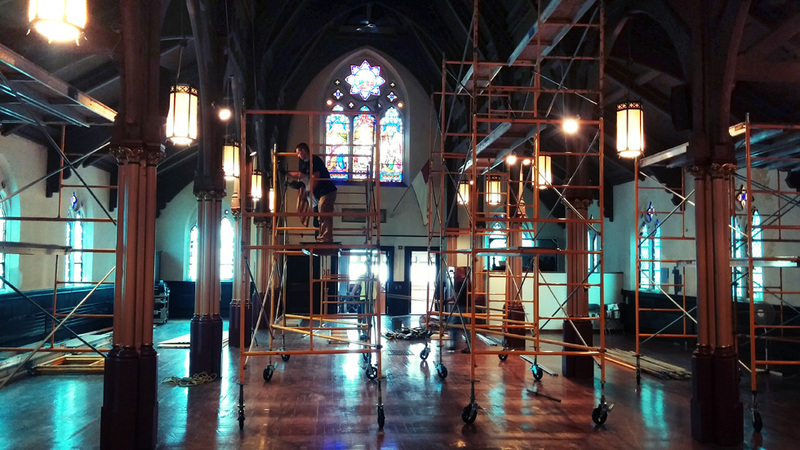 While the Church was already on the National and State Registers, only local designation would give it the protection it needed to retain its historic interior and exterior. 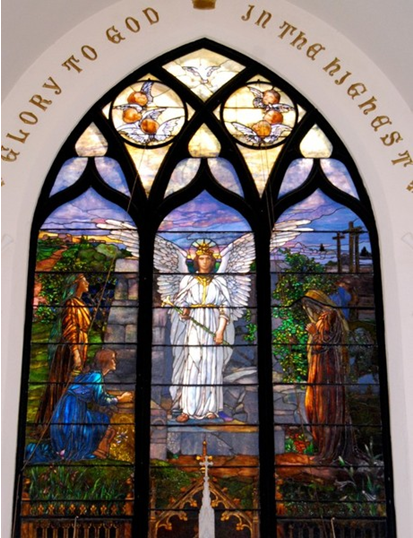 In addition to their aesthetic significance, artistic commissions for the Church memorialized members of important local families, including the Sibleys, the Ellwangers, and the Andrewses, all dedicated parishioners. 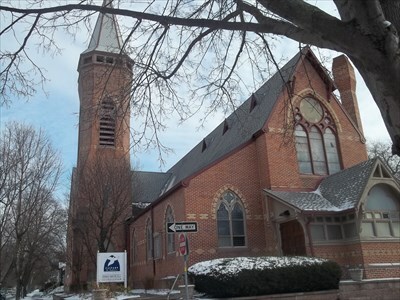 The Church embodied important chapters of Rochester’s progressive religious and social history. Reverend Crapsey was an impassioned spokesman for social justice whose liberal rhetoric was seen as heresy by his superiors. Many of his ideas inspired the church community even after he resigned in 1906, and parish efforts to feed the hungry and to empower individuals continue today in programs like the Food Cupboard. Calvary St. Andrew’s was the spiritual home for people working for racial equality, women’s rights, rights of disabled, and gay rights. Its last minister, Reverend Judy Lee Hay, kept the doors open to all and represented the church in successful efforts to turn the South Wedge into one of Rochester’s most vibrant neighborhoods. What are the next steps for the church? Friends of Calvary St. Andrews hope that the building will continue serve the community. The Food Cupboard will remain on site. 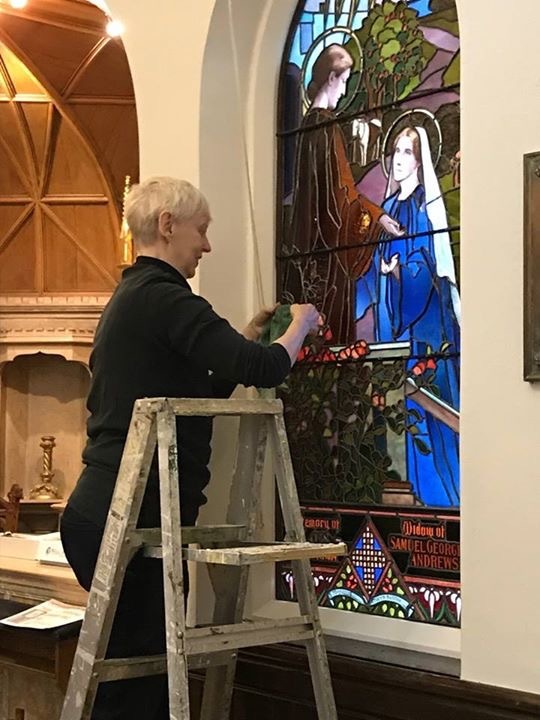 FoCSA is hoping to sponsor programs – lectures, performances, exhibitions – and is exploring the possibility of having life cycle events at the church. 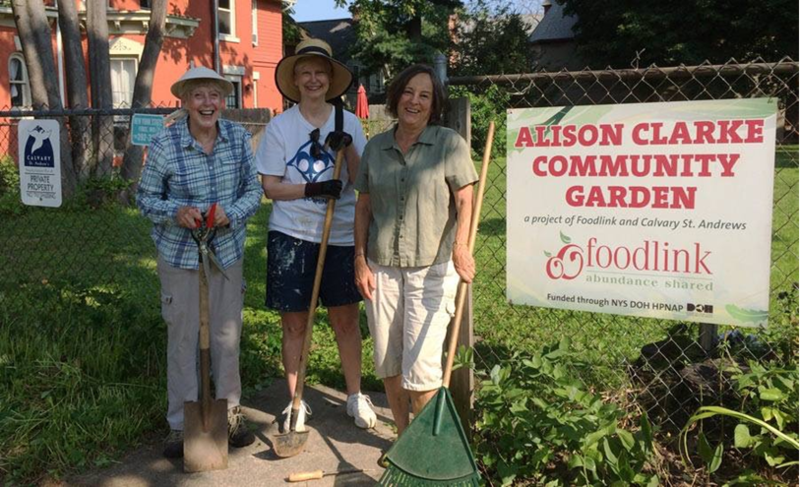 The Presbytery hopes for a continued presence at the church as a base for mission groups coming to do service projects. The group has been hard at work preparing for an October 15 open house for the public to celebrate the recently awarded landmark status and give visitors an opportunity to tour one of the city’s treasures.